Think the menus in your restaurant are just a list of menu items? Think again! Your menu is often your restaurant’s first impression, from online listings to takeout menus, so it’s important to use it to your best advantage. SinglePlatform helps you keep an up-to-date online presence that includes menu content – but have you ever thought about the impression your paper menu makes? 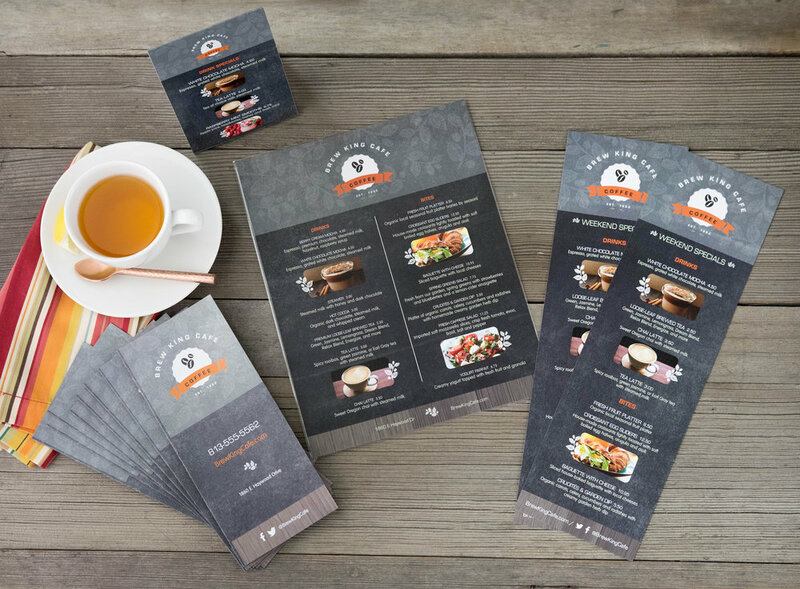 Learn how to make your menus as effective as possible for boosting your bottom line. Coming up with a great design is one aspect of quality, but so is the paper that you print on and the quality of the print job. Is the paper sturdy or flimsy? Are your colors crisp and accurate? When you have a professionally printed menu on high quality paper, it is a subtle but powerful testament to your attention to detail, and the quality of your fare. Taking the time to reprint your menu regularly can make the all difference, and keeps your guests from receiving a neglected menu with wine stains and crinkles. Just like the Kindle didn’t cause the extinction of paperback books, digital menus aren’t going to replace your paper menus. The tactile sensation of touch is a satisfying one, and high quality, thick paper can create a memorable impression. Recent studies also show that reading from a paper source, rather than a screen, can increase brand retention, and can also result in better comprehension and memory of material. Having something to bend and flip around is proving important for how our brains process information. You always hope your customers will order more than just dinner; dessert menus, cocktail lists, and special menus can help you achieve just that. Supplying different menus and menu cards can support the upsell of drinks, desserts, and other items. If it’s appropriate for your restaurant, keep a double-sided table tent on your tables, so that the option to pursue desserts doesn’t disappear with the dinner menu. Slide a card into your check presenters reminding guests of an upcoming event for more repeat business. Encourage guests to take a takeout menu on their way out the door. Having a physical reminder of your restaurant is also an important aspect of takeout menus. Give your customers something to pin to their fridge or keep in a desk drawer and keep your restaurant at the forefront of their minds. Need help getting a new menu designed and printed? MustHaveMenus lets you create, customize, and print your menu all online. Whip up a menu yourself or have us do it.